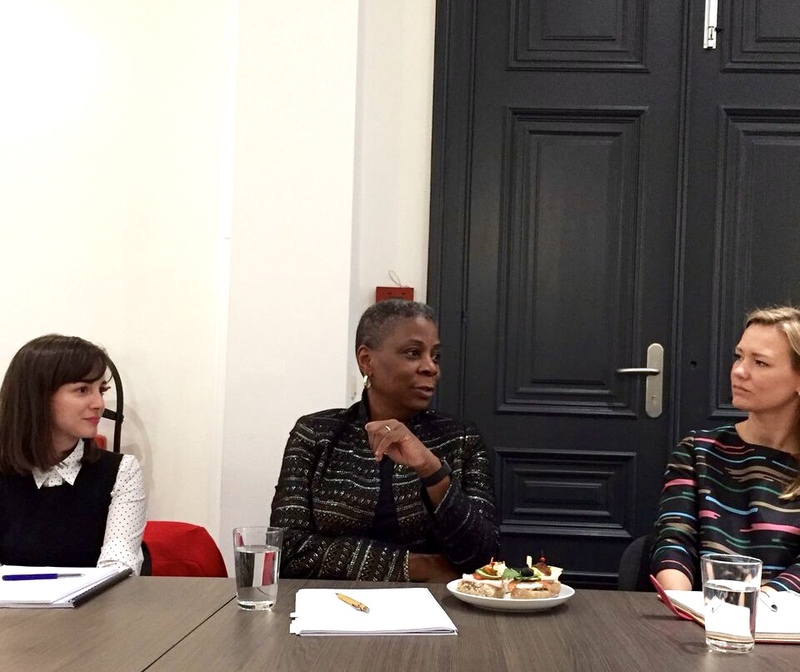 Last week, we had the privilege of having a lunchtime discussion with Ursula Burns on how to build a path for success and deal with specific challenges that women may face in their careers. Ursula Burns is no stranger to dealing with challenges. She was raised in a New York housing project and was one of the few women in her class studying mechanical engineering. She went on to become CEO of Xerox, which made her the first African-American woman to be the CEO of a Fortune 500 company. As a passionate advocate for STEM education and for women, Ursula told us that she personally felt that it was very important to support women: “and that’s not because we lead terrible lives, but exactly because we have good ones. 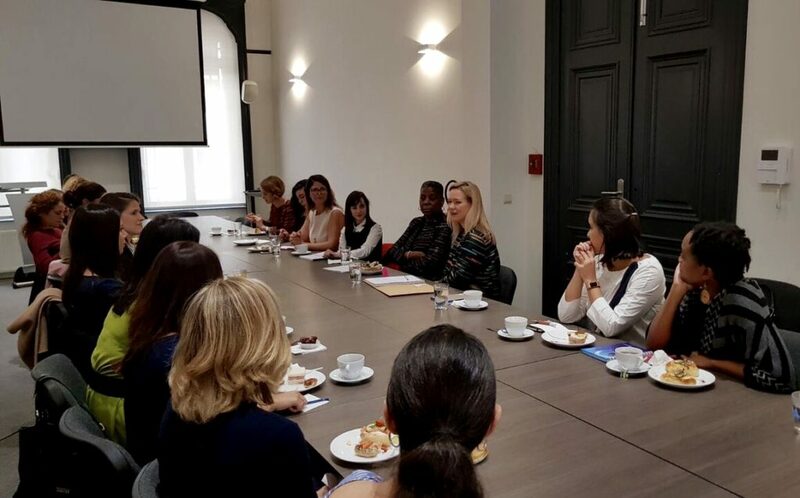 We need to make sure that even more women can partake in a good life and share the opportunities that we have”, she explained. Ursula’s view was that two things need to change with regards to us (as women) and them (which is largely men). When it comes to us, we need to decide how to lead our lives. So many women have this view of an ideal lifestyle or ‘having it all’. As Ursula explained, “women try to be a good wife, a good mother, do all of these super glamourous things – while also finding time to eat and sleep.” But ‘having it all’ is hard to visualise and we have to ignore what we perceive or are told our lives should look like. According to Ursula, “women need to pay more attention to themselves.” But that’s not enough. 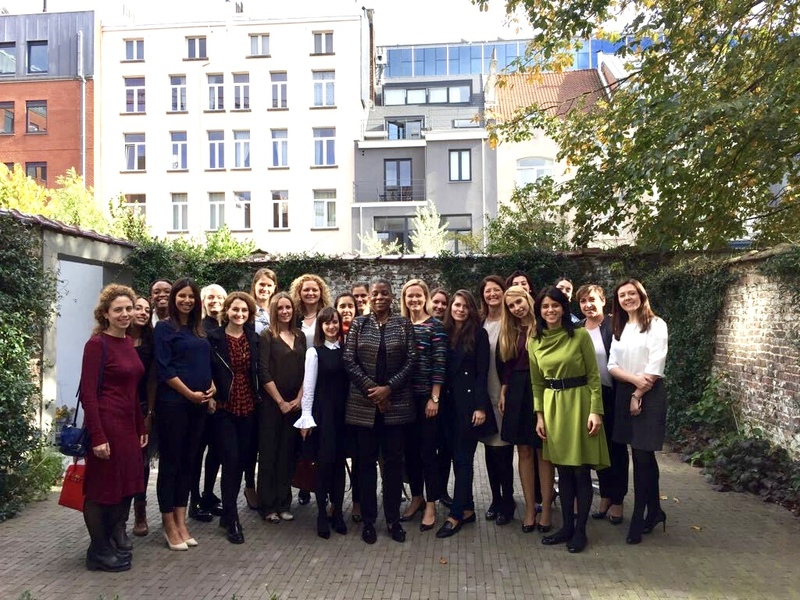 We had a lively discussion on how we can take steps to achieve gender equality in the workplace and Ursula rightly pointed out that: “equal does not mean the same. That’s not our goal to be the same. We do not want to achieve success by shredding who we are.” We should not try and change who we are to become more like men. 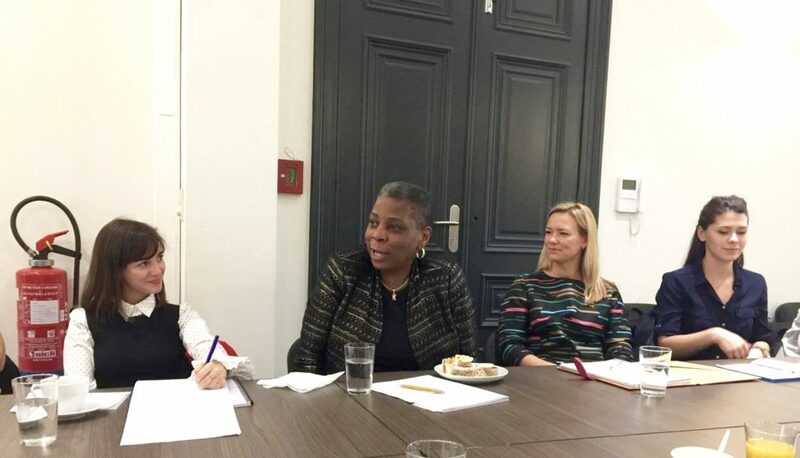 Instead, Ursula advised us that “your capability should be the only judge of how far you can go.” When she was the CEO of Xerox, she didn’t approach equality as trying to be the same as other CEOs or trying to change the way that she dressed or spoke. We should not try and be someone else to be successful because our own skill set and personality is what distinguishes us and ultimately that is what is valued. 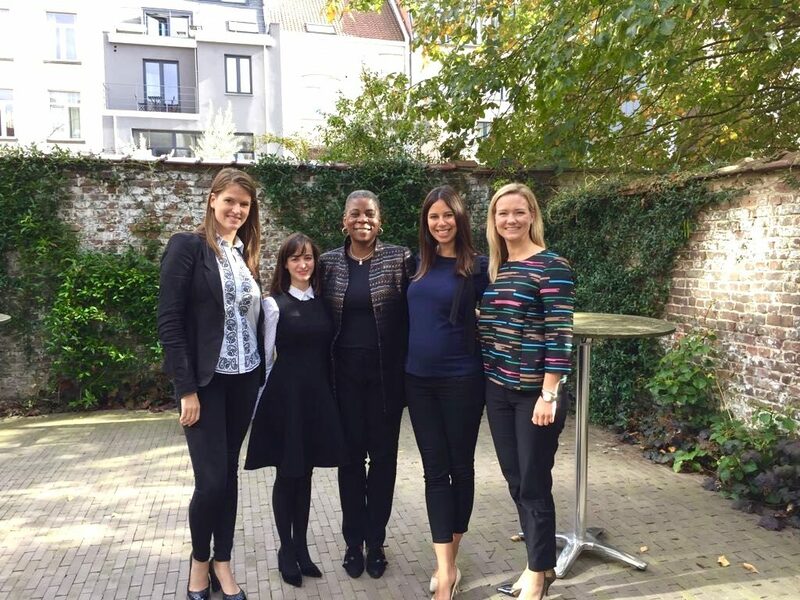 According to Ursula, success is built on equal opportunities, access and being valued. But all too often, women do not have the same access and are not treated or valued the same. We need to change that. 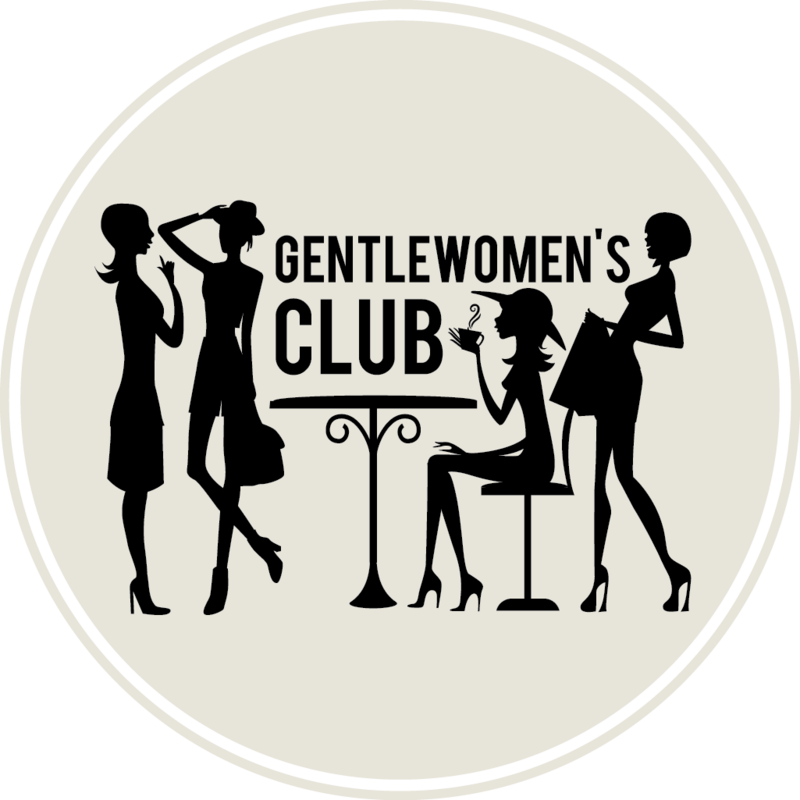 One frequent topic that has come up at a few of our Gentlewomen’s Club events is how to deal with other women who are not supportive and very often competitive with you. When asked how to approach such issues, Ursula pointed out the importance of learning to pick and choose your battles. She recommended that sometimes the best thing could be just to ignore such behaviours. But if you are faced with a situation which is structurally not a supportive atmosphere, Ursula encouraged us to leave: “take a stand when you know you can make a difference, don’t just take a stand for the sake of taking a stand.” In the past, I’ve personally experienced rivalry from other women such as people taking credit for your work or simply bullying. I’m a firm believer that we shouldn’t underestimate our power to change those sorts of environments. Sometimes, it’s simply not possible, and as Ursula said, you have to leave. But on occasions, there are small things that you can do to improve the workplace such as putting in place a mentoring system to ensure the much needed support. In Ursula’s experience, it was the men who were often her ally and helped her advance in her career the most since there were so few female engineers to talk to or look up to. But there were other factors too, like the fact that she was different because she was African-American woman working in an environment dominated by men. She said that growing up she was always different because she was a minority both at university and in the workplace. So rather than trying to blend in, she used the fact that she was different to her advantage – she had grown up knowing that she was different, whereas other people were trying to find out how to deal with her differences. “It’s a bit like being at war and knowing the moves of your enemy and your own moves. Being different can be an advantage”, she explained. Ursula remarked that even among the newer companies on the market that have been operating for less time, you still see significant discrimination and the under-representation of women. There’s still a lot to do for us to be able to deal with structural differences if these issues persist even in young companies. The world of work is almost always male dominated and this needs to change. For a long time, Ursula said that she was against quotas, but now that she realises that change is slow without them, she thinks we need to put in place quotas and increase female representation in boards. Ursula ended our inspiring discussion by adding that the world is not horrible, but it’s not always fair and it will take us time to achieve fairness. We need to be patient and figure out a way to move forward for the future generations because the hard work that we are doing takes time to make a difference in the same way that we are now reaping the benefits of hard work done by women long before us. So, it’s a long road ahead. Are you with us?